Pre-construction consultation is an important part of the building process. Poor planning during construction can result in tree decline and failure because of damage to roots and trunks. In addition to the process of building, certain digging and trenching can hurt root systems of trees. Proper planning prior to the building phase of construction by a professional is needed to ensure that you can save as many trees as possible on your property. There are numerous options for tree protection that can be employed during the building of your home or other structure. We would be happy to provide you with a plan for caring for your trees during a consultation prior to construction. Our advice is invaluable for the health of your trees during this time and could potentially save you money, too. 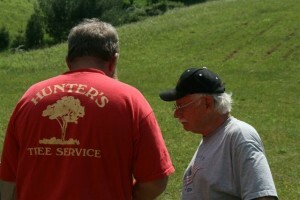 Hunter’s Tree Service, Inc. works throughout the High Country of the Blue Ridge Mountains. We can help you with your planning needs in Boone, Banner Elk, Blowing Rock, Linville, Valle Crucis, Newland, and the surrounding areas. Contact us today!